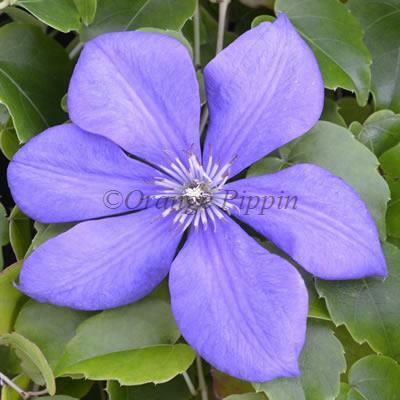 Clematis 'Semu' (whose name means 'friend' in Estonia) is a very free-flowering variety which is easy to grow. This fast growing variety produces semi-nodding, velvety purple flowers with a dusky blue reverse from July to September. Clematis 'Semu' was raised by Uno Kivistik of Estonia and introduced in 1981. This non-evergreen climber will look very pretty growing up a trellis, along your garden wall, fence, pergola, archway, obelisk, or allowed to climb up through a large shrub or tree.